EU chief Brexit negotiator Michel Barnier has met Taoiseach Leo Varadkar in Dublin and told him: "The EU will stand fully behind Ireland". In a joint press conference with the Taoiseach at Government Buildings, Mr Barnier said he was confident "operational solutions" could still be found to manage the contentious Irish border issue. Speaking after today's meeting with the taoiseach, Mr Barnier said: "You have our full support and, I have said before, the backstop is now the only solution we have found to maintain the status quo on the island of Ireland". "We would not discuss anything with the United Kingdom until there is an agreement on Ireland and Northern, citizens' rights and the financial settlement", he said. Speaking in the Irish capital, the statement is a stern reaffirmation of the Union's commitment to protecting its members from the adverse effects of Brexit, and preserving the single market - and it means in theory Ireland is far better prepared for a "no deal" scenario than the UK. 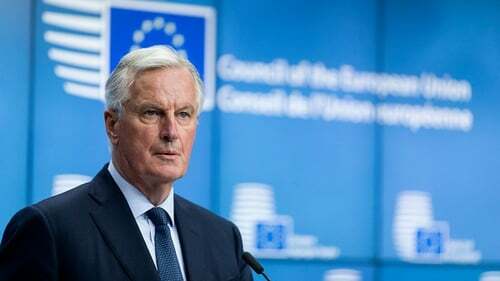 His remarks came just a few days before the European Council, the top decision-making body of the EU, is scheduled to hold a summit meeting to decide on whether the request by the British Prime Minister Theresa May to seek a further extension of Brexit to June 30 should be granted or not. He said he sincerely hoped it would be possible to find consensus in Westminster, but that if a no-deal outcome occurred, it would be a "shared challenge" between Ireland and the EU. Mr Varadkar said Ireland was open to extending the Brexit deadline to allow talks in the United Kingdom to reach their conclusion. However, all sides will be hoping that the talks in London between the Conservatives and Labour party will yield a compromise deal which European Union leaders can rubber-stamp on Wednesday. The British government is now in talks with the opposition Labour Party on a possible compromise that could include a customs union. Taoiseach Leo Varadkar expressed confidence that the EU-27 would reach agreement at Wednesday's European Council meeting of leaders. Taoiseach Leo Varadkar added that if the United Kingdom crashes out this Friday, the consequences would be a "shared challenge" for Ireland and the EU.